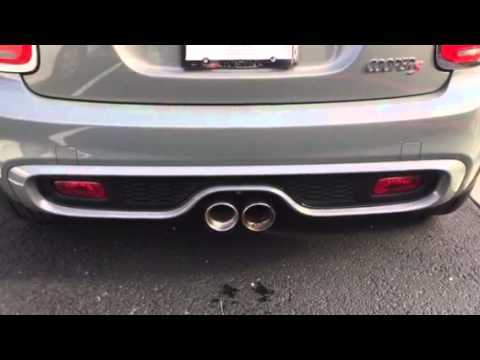 Why Fit a Quicksilver Exhaust to Your F56 BMW Mini Cooper S & JCW ? Quicksilver high performance exhausts have done it again with this fantastic cat back performance exhaust system for the new gen 3 BMW mini cooper s & JCW F56 exhaust system. High quality T304 stainless steel construction mean that this system has been designed to last and withstand far more heat and punishment than the stock system. Its has the classic great sound of any quicksilver system and come with the standard life time warranty for peace of mind. With superior flow over the stock OEM exhaust this cooper s exhaust system for the F56 will allow you to to feel far better throttle response and acceleration throughout the entire rev range. With outstanding performance comes outstanding sound. The quicksilver exhaust system works in conjunction with the engine, providing a subtle sports car nose at lower revs and a sportier more dominant presence at higher revs. Light weight is an understatement but not when it comes the the actual weight of the system as this quicksilver performance exhaust system weights in at 3kg less than the stock exhaust!! !.